Reconditioned steel drums are by and large one of the most commonly used types of containers in the world, both industrially and commercially. There are a lot of reasons for this, but most will say they trust reconditioned steel drums because of their durability and safety standards. 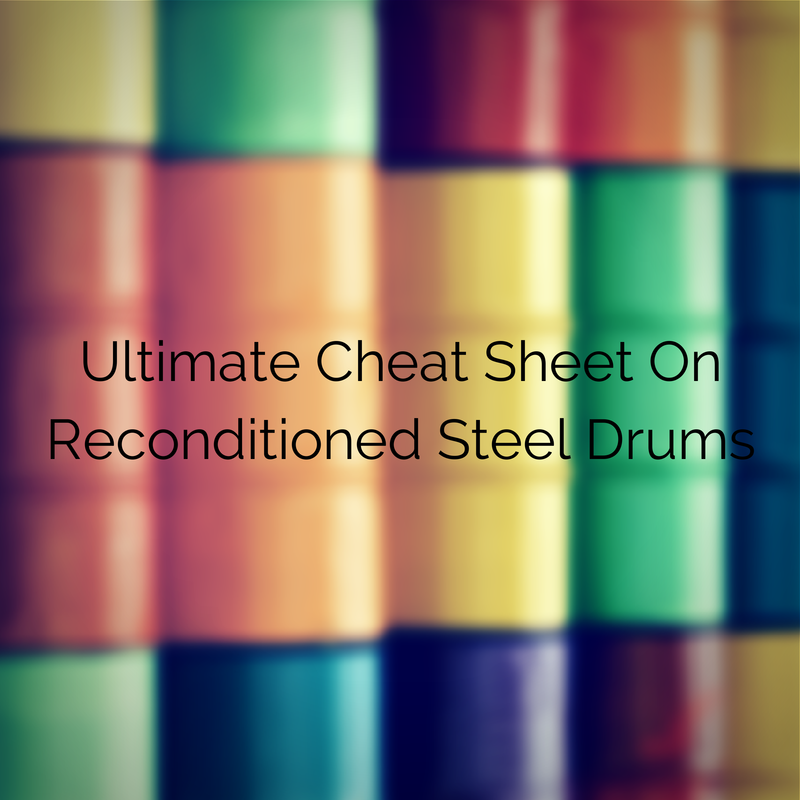 However, there’s a lot to be said about that as well, and below we’ll break down exactly what you need to know about reconditioned steel drums to make them work for you. Steel drums are trusted for their durability and their resistance to damaging substances that other materials and containers couldn’t withstand, so it comes as no surprise that one of the most commonly asked questions about reconditioned steel drums concerns their durability: Will a reconditioned steel drum be able to handle the same damages as a freshly made steel drum? To put it bluntly, it depends on the reconditioning, what it’s being reconditioned for, and how many times it’s been reconditioned in the past. Reconditioning has no one setting—drums can be reconditioned to different levels of durability depending on the job at hand. Sometimes it won’t be necessary to fully recondition a drum to its former glory, so in order to save resources it would be wisest to evaluate what you need the drum reconditioned for and then cater to that. Of course, as far as reconditioning goes a drum will never be able to maintain its durability through each re-use. Eventually the drum will be worn down, but all it takes is a trip to a recycling facility to reutilize the drums remaining steel and create a fresh drum that’ll work back at optimal durability. Essentially, this gives reconditioned steel drums an unlimited amount of uses. These are two very different things. Reconditioning means taking a drum and repairing it to the point where it meets at least a basic UN designated standard. While the reconditioned steel drum may not be able to handle as much of what it previously could, it will still be able to handle the same types of materials for the most part. Repurposing a steel drum means changing the use of the steel drum for a completely different UN specification. This usually involves recycling of some sort and refabricating of the steel drum, but the end result will be able to handle materials that the previous version could not, or simply be better suited to handle something the previous one could. Repurposing essentially changes what the drum can be used for. When looking to recondition your steel drums or if you’re just buying some reconditioned steel drums, always make sure you can get a guarantee that the drums meet the standards and specifications of the necessary organizations. The UN has a list of general specifications, but depending on what you’re looking to handle the drums may need special certifications. The chances of this increase greatly if you need to transfer HAZMAT or corrosive materials so make sure you double check. It’s the best way to keep yourself, your company, and whoever is handling the drums safe. Reconditioned steel drums are great because of their almost infinite lifespan. Every steel drum gets reconditioned for years before being recycled, and even then it keeps most of its material. Its durability is one of the reasons why companies trust to use it around the world, but you still need to make sure every drum is up to far after reconditioning, repurposing, and recycling. All of these processes change the capabilities of the drum so you need to be aware of exactly what they’re changing into.